Oh, Monday... I knew you were approaching, but still wasn't quite ready for you. I've been so unmotivated today and did every procrastination method in the book to avoid doing what I actually should be doing. In my avoidance of work I did manage to purge 52 nail polishes from my stash, so there's that. But, you're here for the gloss lip lacquer. 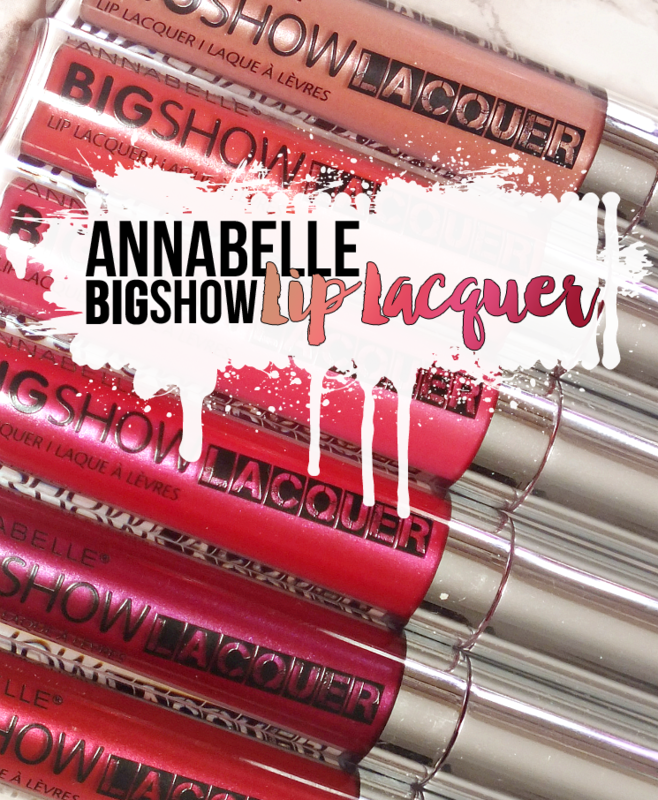 Unlike my ability to stay on track, the Annabelle Big Show Lip Lacquers are pretty amazing. Read on for a look at all six new shades. I will admit that my lip gloss usage has waned in recent years, but I do have fond memories scoping out the best shades at the drugstore in my younger years. I was once the queen of lip gloss preferring it to most any other lip products. Like many Canadian youth, Annabelle was one of my go-to brands. Unlike some drugstore brands, Annabelle caters to more than just teens, as they offer great formulas to match their trendy shades and products. 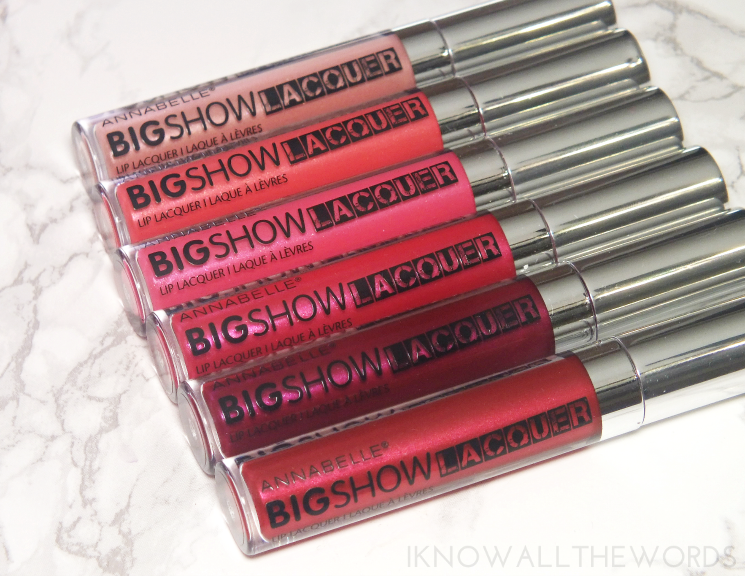 Like the new Big Show Lip Lacquers. They boast an impressive non-sticky (like, not even the slightest bit tacky) formula with a ton of colour. The shades are quite opaque thanks to the slightly frosted base with the perfect amount of shimmer and shine. 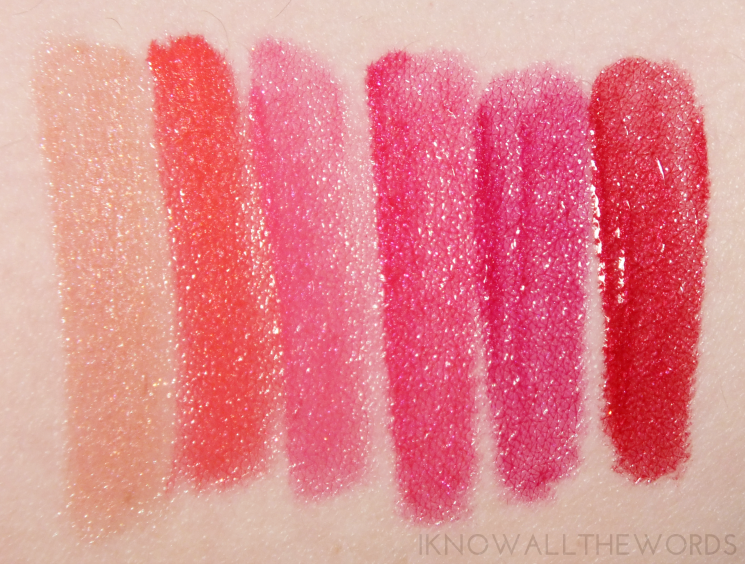 Overall, these are really great glosses! They offer a pop of colour that is pretty long lasting (longer than your basic gloss) and wear easily without drying out. 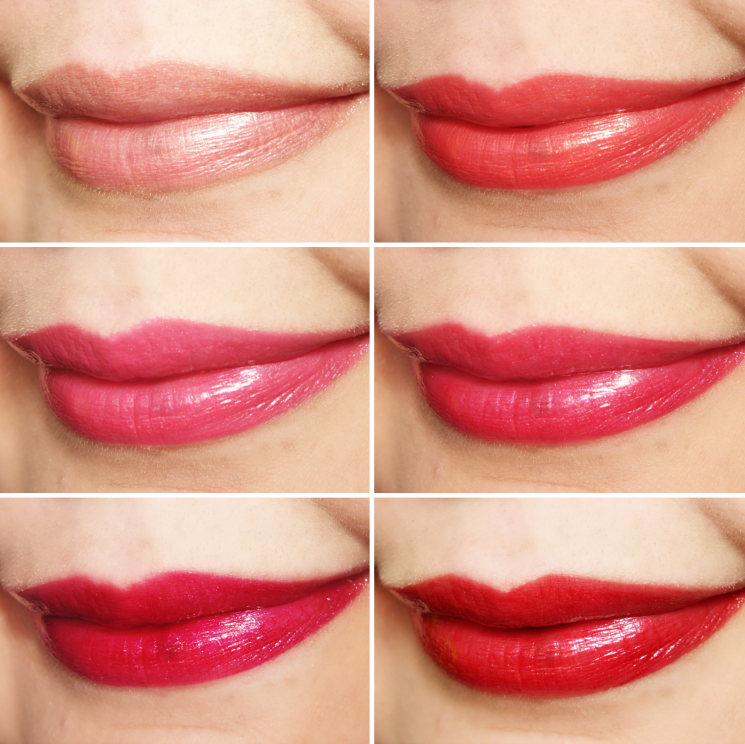 I love that they're light feeling on and will make for easy summer lip shades. What do you think? Tried them or want to?